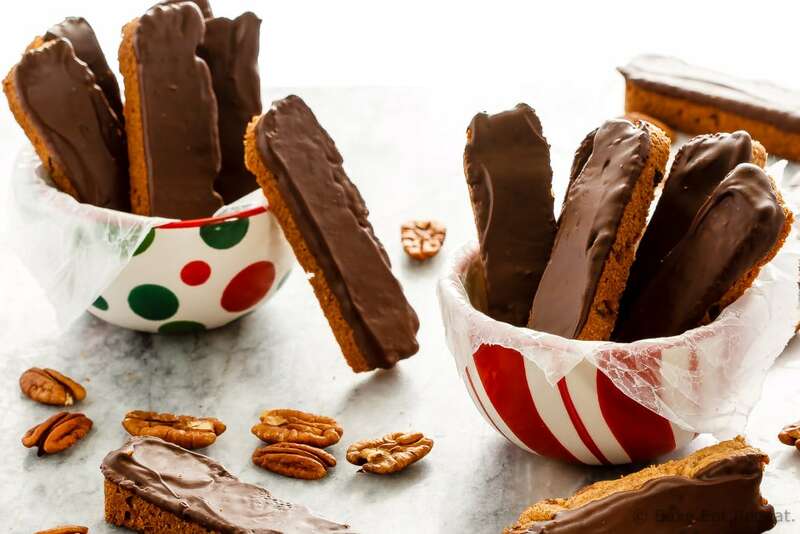 Pecan Chocolate Chip Cookie Dunkers Recipe - Bake.Eat.Repeat. 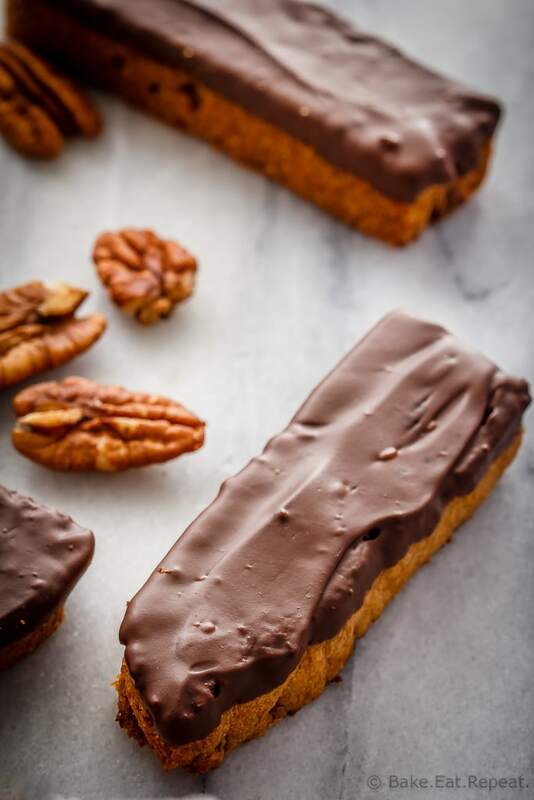 These easy to make pecan chocolate chip cookie dunkers are like biscotti – a crisp chocolate chip cookie that you can easily dunk in your milk or coffee! I don’t know when it happened, but these little pecan chocolate chip cookie dunkers have somehow made it into the permanent holiday baking rotation at my house. I didn’t grow up having these every year. My husband didn’t have them every year either. I simply saw this recipe in a magazine one year, decided to try it, and now, approximately ten years later, it’s not Christmas without them. I only make them at Christmas, but I think they’ve made the cut every single year. And that’s saying something because my holiday baking list is definitely getting out of control. There are too many delicious cookie recipes and it’s hard to decide which to make every year. So if something is making the cut every year, you know it’s a great cookie recipe. Not too many recipes make the cut every year here. Like I said, the list is out of control and we need to stop somewhere! Whipped shortbread is always made, because it’s not Christmas without it. Same with Nanaimo bars. Gotta have them. And, evidently, pecan chocolate chip cookie dunkers. Who knew? I didn’t even really realize that I made these every year until I thought about it, but we always have them at Christmas. That’s the only time for some reason, but they do always get made. Clearly they’re an amazing cookie that you need to have in your life too! 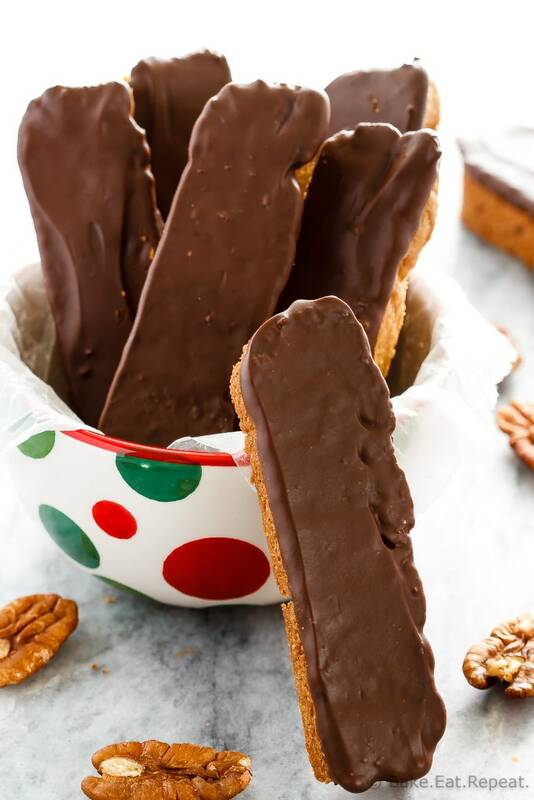 These chocolate chip cookie dunkers are similar to biscotti in that they’re baked twice and are a crisp, dunk-able cookie, but you make them in a baking dish and then cut them into long cookies. You need to try these easy, tasty cookies – you just might find a new favourite too! 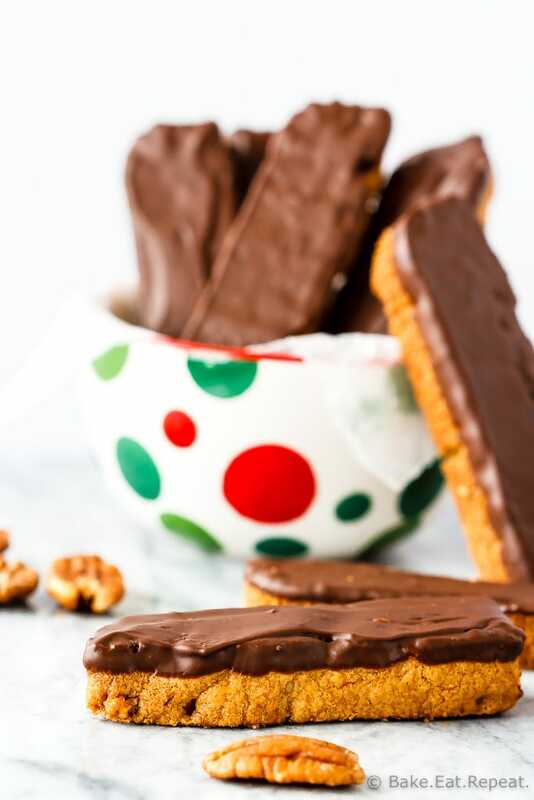 I’ve also shared this Pecan Chocolate Chip Cookie Dunkers recipe over on Food Fanatic.